Did You Have a Claim? What Should You Do If You Have a Claim? If you have a claim or accident please call our office to speak with one of our representatives as we are here to help you when you need us the most! Our telephone number is 337-824-4455 and we are available during normal business hours. If your claim occurs after hours click this link to find the claims telephone number to your individual insurance company. It is a unique service available only to policyholders of our agency for the line of business we care for. As a Claims Advocate we will stand up for your rights as a policyholder including actively negotiating for you with insurance companies if a claims settlement is less than what we believe you are entitled to. Additionally if you are hit by an uninsured motorist we will attempt to collect payment for you for property damages you may be owed by the uninsured motorist. 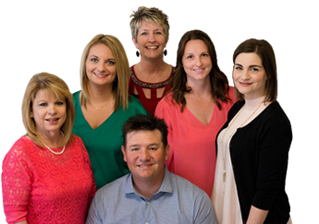 We are the only agency in the area offering such a service and it is another reason why you should allow Jeff Davis Insurance to care for all of your insurance needs. Step One – Should I file a Claim? It all depends on a number of factors including the amount of damage or were there injuries for the automobile accident? For home insurance what is the extent of the damage to the home? Is there a chance additional damage can occur? Is there are water damage? The same questions also apply for business insurance if you are a business owner. If you have a claim please call us ASAP even if after normal business hours and we will get back with you as soon as possible. If you want to file a claim directly with your insurance company click here to find the telephone number for your individual insurance company. Understanding How Claims Influence Your Insurance May Have a Big Impact on Future Premiums or Insurability. We buy insurance to cover the ‘what if’ scenario. However you should be aware that certain types of claims turned into your insurance company will have a very detrimental effect on either your insurability or the amount of money you pay for your insurance. For example one policyholder who was not insured with our agency at the time decided to turn a certain automobile insurance claim into their insurance company and on the very next renewal their insurance premiums doubled! Before turning the claim in they called their agent for advice to ask whether or not they should turn the claim in. Their previous agent advised them to go ahead and turn the claim in without even bothering to review any other factors about their account. They got bad advice from their former agent and a huge rate increase. We can help you avoid this by means of our claims advocacy program. If you’re not currently insured with our agency call us to learn how you can take advantage of this powerful service offered exclusively to policyholders of Jeff Davis Insurance.